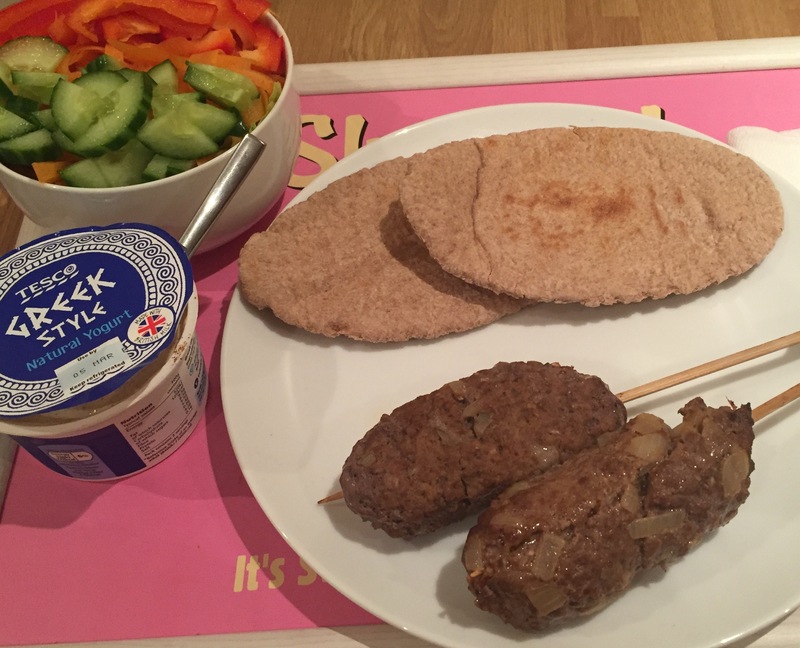 I may have told you this before, but there is nothing I love more than some sort of delicious meat served up with a dip or chutney, flatbreads and salad. I don’t know if it’s the spice or the contrast in textures or the DIY element, but this mini feast has given me some of my very favourite ‘a little bit of what you fancy’ suppers. These lovely little beef koftas are packed with flavour, and if you cook them just right they’re be deliciously juicey too. 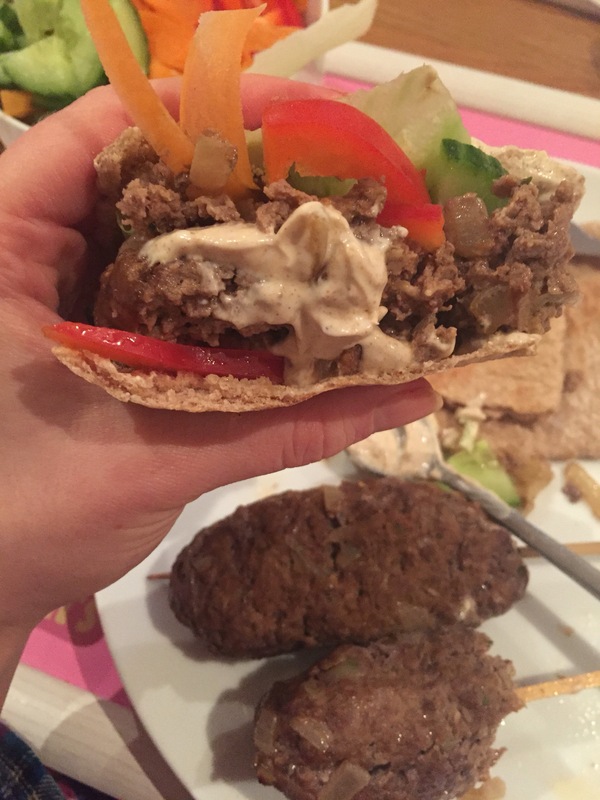 A great light alternative to a burger or a kebab, as well as being something a little different to make with that packet of beef mince. You could even make mini versions to serve up with a dip at a party, if you were of a mind. 1 Chop the onion and grate the garlic and ginger. 2. Add the olive oil to a small saucepan over a medium heat. 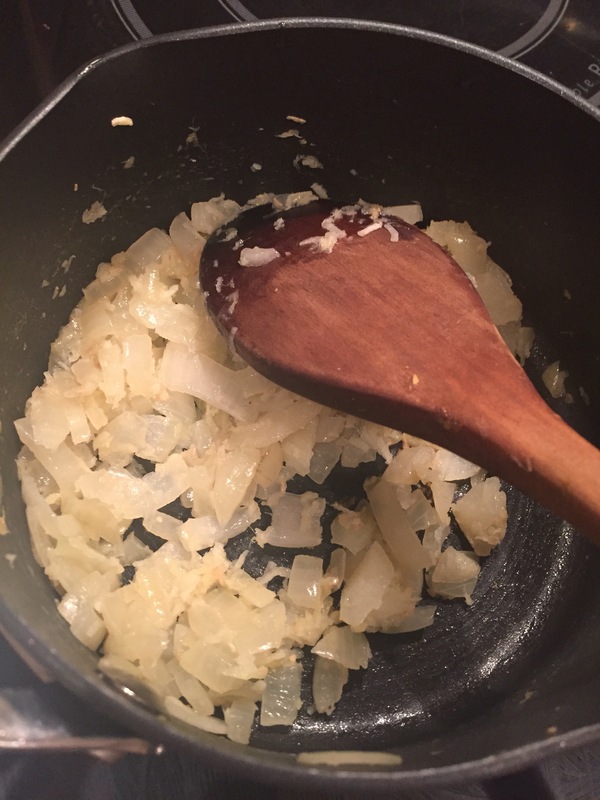 Once it’s warm, throw in the onion, garlic and ginger and cook until translucent – don’t give it too much heat as you don’t want it to burn. Set aside and allow to cool when ready. 3. 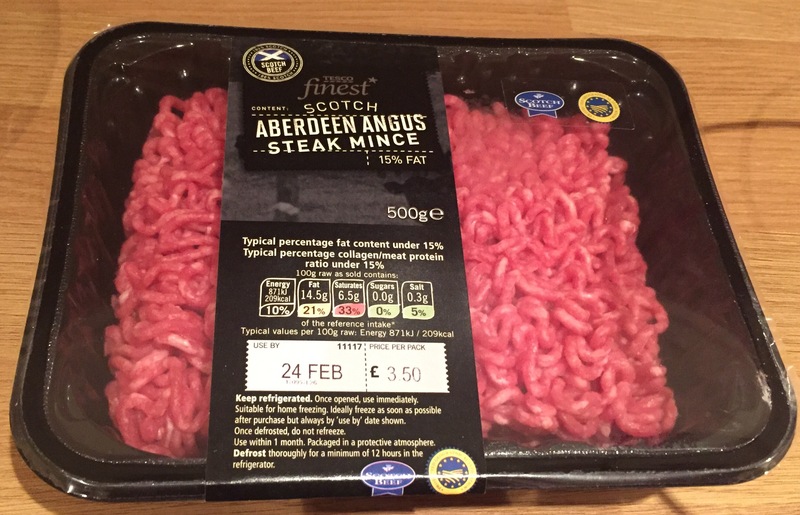 Bring the mince out to room temperature around half an hour before you want to use it if possible so it isn’t too fridge chilly. 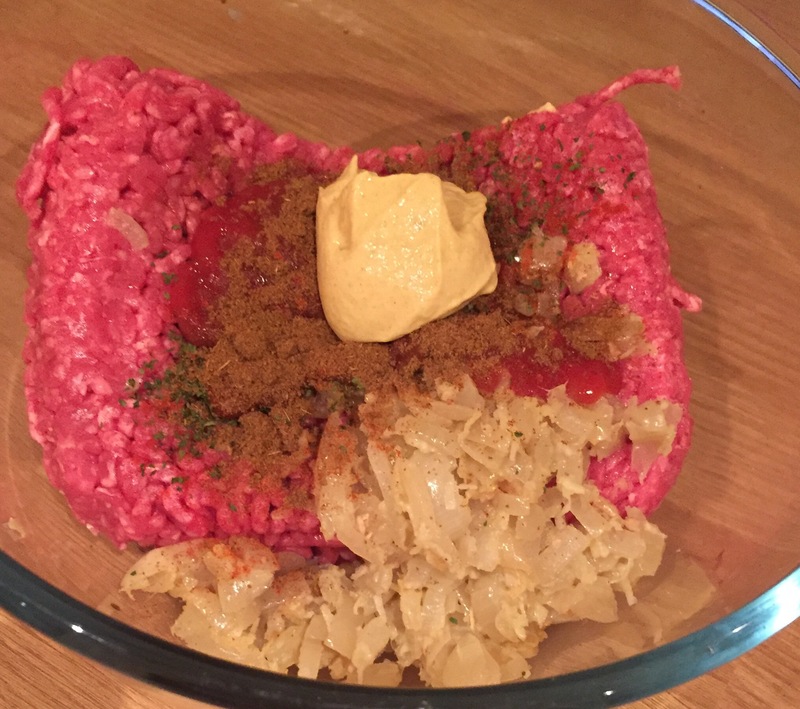 Try to use good quality mince – it’ll be less fatty, taste better, and be better for you – and a little goes quite a long way with all the accompaniments you’ll add in. Preheat the oven to 180c. 4. Add the cooled onion-garlic-ginger mixture to your mince I a large bowl, then add the ketchup, mustard, parsley, 1 tsp cumin, pepper and Wprcestershire sauce. 5. Don’t be afraid to get your hands dirty here -just make sure they’re nice and clean in the first place. 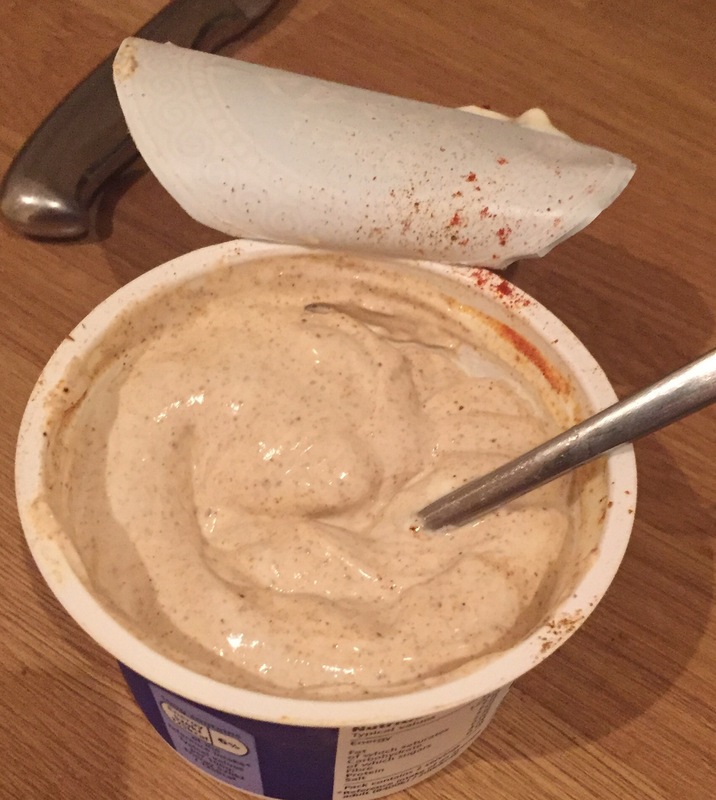 Mix everything together well with your hands and you’ll be left with this lovely beefy mixture. 6.Now, grab your skewers! I use wooden ones, so I make sure to soak them in water beforehand so that they won’t catch in the oven. 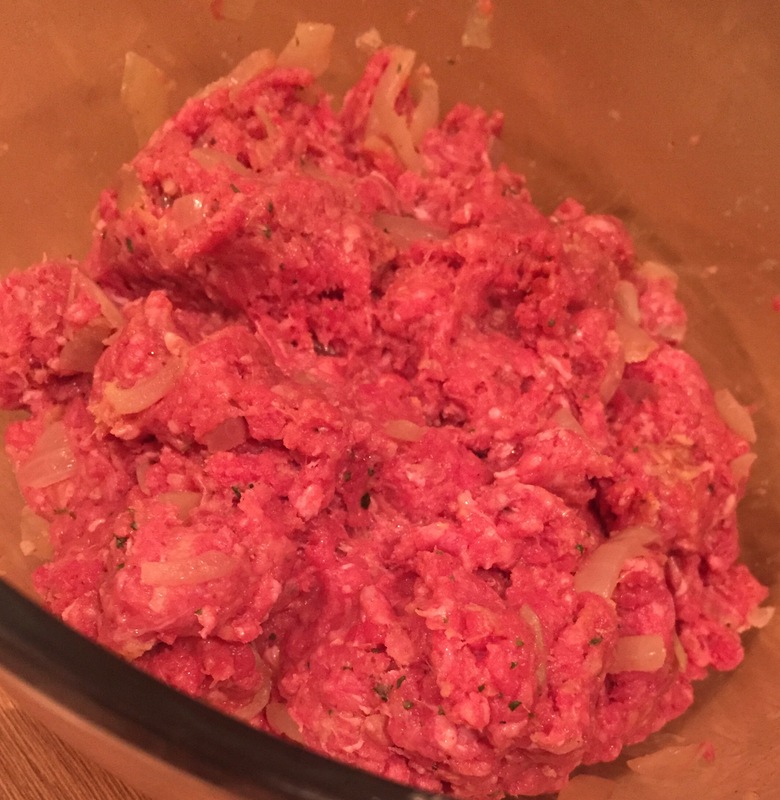 Grab a quarter of the mixture and form it into a sort of thick sausage shape in your hand. 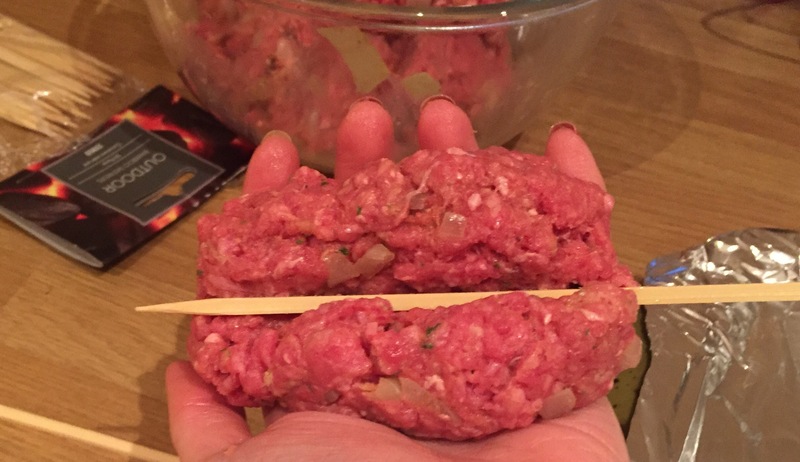 Place the skewer in the middle then close your hand around the meat, squeezing it tightly onto the skewer. 7. 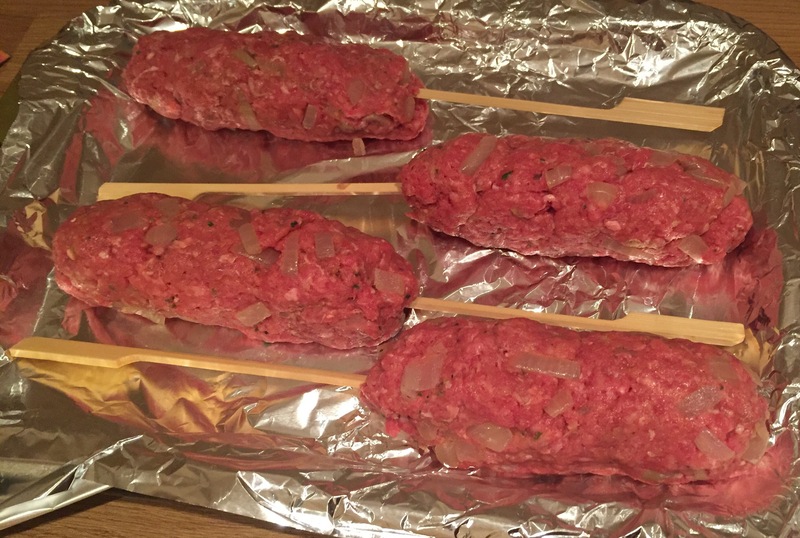 Repeat with the remaining mince mixture and set the koftas out on a foil lined baking tray and stick them in the oven. They should take around 20 minutes, but check after 15 and turn over. 8. 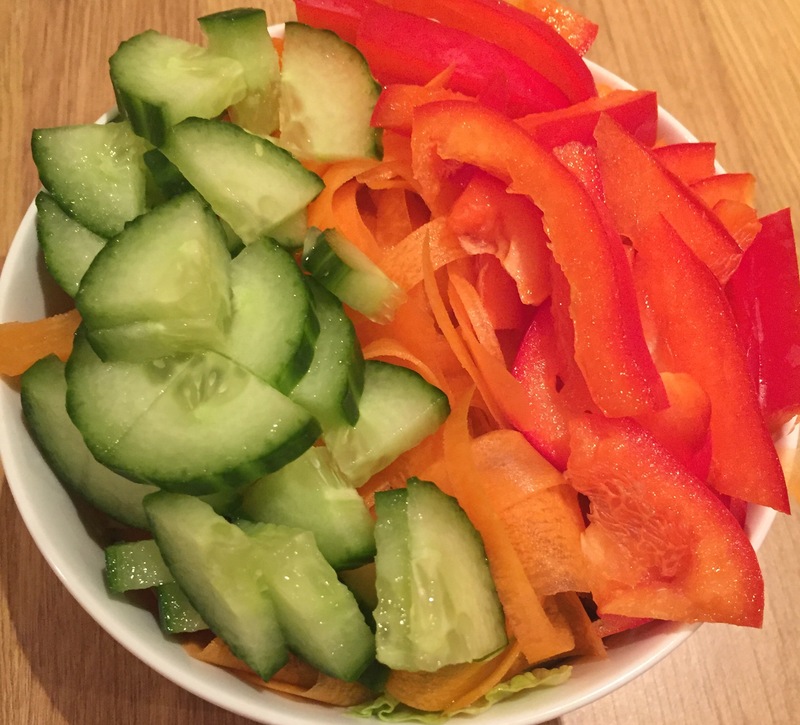 Now put together a lovely, fresh, crunchy vibrant salad which will give a nice contrast to that meat, yoghurt and bread. 9. 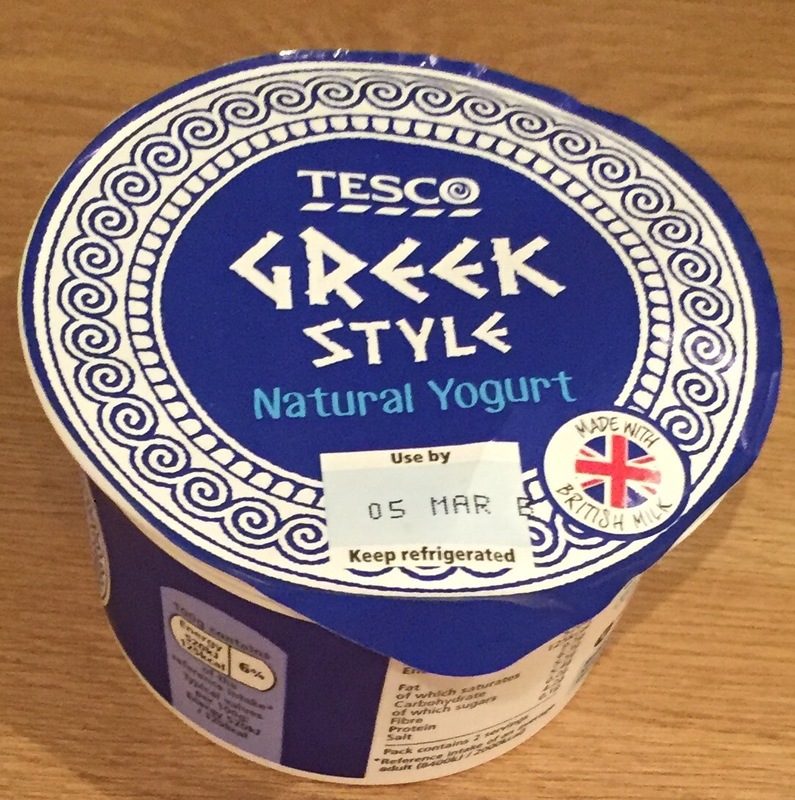 Get your little pot of yoghurt ready. 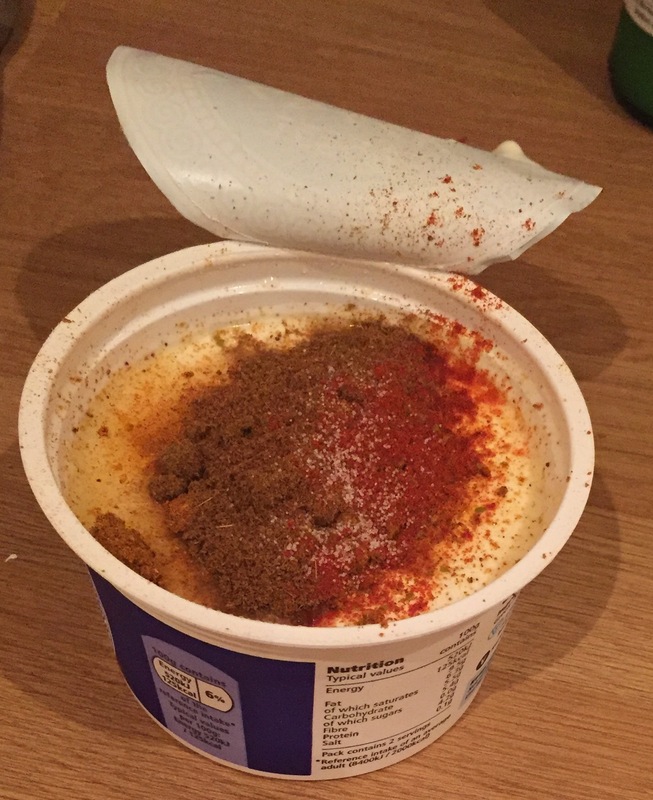 You have two options here: do things properly and set out a lovely dip bowl for your yoghurt, or just mix it up in the yoghurt pot – which is what this scruffy girl went with (less washing up!). 10. Chuck in the spices, salt and lemon juice, and mix, mix, mix. 11. 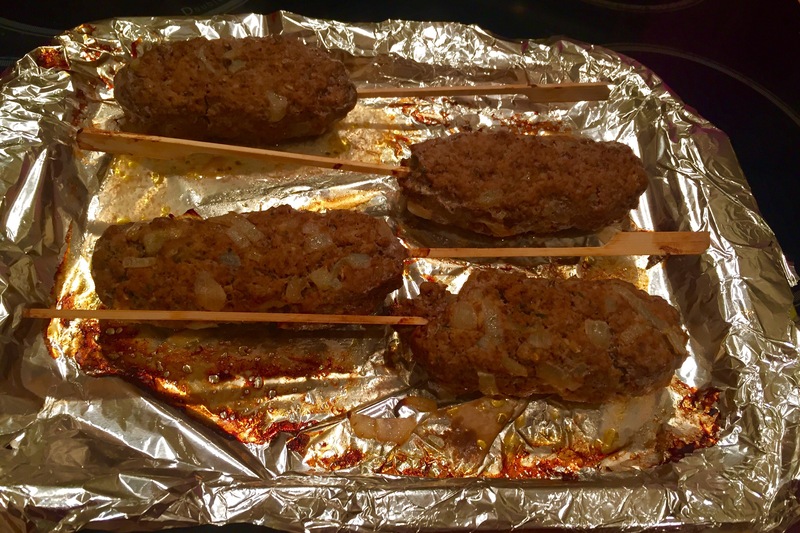 Remove the koftas from the oven when they’re ready to serve up. 12. Toast your pittas (a toaster works just fine) and serve everything up with plenty of napkins! 13. Enjoy your messy feast!